The results of a small, randomized, double-blind, placebo-controlled trial to evaluate the role of curcumin in prostate cancer patients already treated on intermittent androgen deprivation therapy (IADT) have recently been published. This trial was carried out by Choi et al. in Korean patients in South Korea. Their goal was to evaluate the anti-cancer activity of oral curcumin in patients with prostate cancer who had already initiated treatment with IADT. The results are published in The Prostate. There was no significant difference in the off-treatment duration between the two groups (P = 0.4816). This difference was significant (P = 0.0259). There were no significant differences in the three secondary endpoints at 6 months. There were more adverse events recorded in patients in Group A than in Group B. … did not significantly affect the overall off-treatment duration of IAD. However, PSA elevation was suppressed with curcumin intake during the curcumin administration period. Curcumin at this dose was well tolerated and safe. This is clearly only data from a relatively small, pilot study, but apparently the use of curcumin did not have any meaningful impact on the first off-treatment duration of IADT in this trial. This study is clearly underpowered, which means that the number of patients included was much too small. In such a situation seemingly significant differences can be the result of chance. This leaves the question — What if the curcumin had been continued past 6 months? Since the authors note that PSA elevation was suppressed with curcumin intake during the time the curcumin was being taken (6 months), what would happen if these same patients had been put on curcumin permanently (or until elevation of PSA required re-treatment)? I don’t quite understand your observation that “apparently the use of curcumin did not have any meaningful impact” since the curcumin was stopped after 6 months. It seems a more accurate conclusion is “apparently the temporary, 6-month use of curcumin was not enough to delay the onset of PSA progression, despite the fact that during its administration a statistically significant greater proportion of patients receiving curcumin experienced stable PSA.” Or something along those lines. It seems as though the experiment was designed to determine if a temporary administration of curcumin would create a permanent change. For those of this with the disease, the possibility of taking a dietary supplement of our lives everyday — especially one that is “well tolerated and safe” — is far preferable to the idea of life on ADT, with its noted collateral damage. You need to appreciate that this was no more than a pilot study. It seems highly likely to me that this was all the research team could manage with the available funding. Your suggested conclusion would actually be inaccurate for the simple reason that there is no way to know whether taking the curcumin for more than 6 months would have changed the outcome at all. We can only comment on the outcome in the context of the study that was actually carried out. Those who think curcumin is even capable of having an effect should read this article. Even if it gets past the gut (say, with piperine), it stays active in the body for less than 30 minutes. Much more interesting are the curcumin analogs (like ASC-J9) that are engineered to survive first-pass metabolism. For now, this is the best commentary I’ve seen on this issue. Allen, I really would not be so fast to write off curcumin. 1. The bioavailability of curcumin is so low, and its presence in plasma so transient, that it is doubtful it could have any medically useful effect. 2. In test-tube studies, curcumin reacts with such a huge number of biological molecules, that it lacks the target specificity that we expect of any reasonable drug. In short, he is saying that curcumin is useless because it does not behave like a normal drug. I am not convinced. I can envision mechanisms by which even a transient presence in the blood could have a lasting biological effect. Moreover, if this action depends on being combined with some other dietary substance, it could even be surprisingly specific. The Nelson paper is unjustifiably dismissive of the thousands of studies that have reported a positive effect from curcumin. I would like to cite just one of these papers that I find extremely interesting. In this paper, Lodi et al screened a lot of natural compounds. 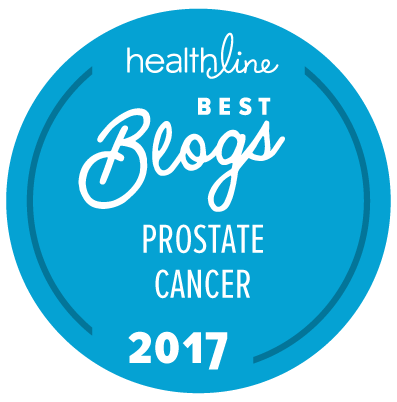 They chose three that seemed to have promise, and tested them both separately and pairwise in combination in two mouse models of prostate cancer. They found that two of these compounds, curcumin and ursolic acid, when given together orally as part of the animals’ food, inhibited the growth of prostate tumors, with the result that after 32 days, the tumors of treated mice were only 25% the size of the controls. Significantly, each of these compounds given separately had only a small effect on tumor growth. But when used in combination, they had a very striking effect. Whether this finding will hold up long term I cannot say. But I find it tantalizing, if only for the sake of the methodology. Finally, I will point out that two researchers published a rebuttal letter to the Nelson paper, which you can find at this link. Thank you for showing me that response from some Indian researchers, which was one of many. Here is the authors’ response to them. I think you fall into the trap of using mouse models to infer clinical (human) efficacy. Everything works in those lucky mice! The above randomized clinical trial showed that in 35/39 men taking curcumin (and 30/43 taking placebo), PSA did not progress during the first 6 months after they ended their first cycle of ADT (while they took the drug or placebo). But their PSA more than caught up in the following 10 months. They also found that curcumin doesn’t extend the testosterone-blocking effect of ADT. However, it may be suppressing the amount of PSA that is detected from the cancer, but it does not seem to delay progression of the cancer. In fact, progression occurred 2 months earlier among those taking curcumin (which was not statistically significant in this small sample size). So it may be affecting the use of PSA as a biomarker of progression. We have to be careful about “treating PSA” without treating the cancer. This PSA-masking effect deserves further study. Patients often depend on PSA monitoring to give early clues about clinical progression. If curcumin masks PSA, it should be avoided. 1. They go to some length to point out that their original article was intended to address the suitability of the single compound curcumin as a therapeutic agent or as a lead compound for drug discovery. But many of the published studies used a turmeric extract or blend that contains a number of curcuminoids and possibly other compounds. Hence it is hard to infer anything from these studies about the efficacy of pure curcumin. 2. They also point out that curcumin has a number of interactions that cause it to be described as an “assay interference compound”, and that any trial that fails to consider the effects of these interactions could produce erroneous results. The second point seems quite relevant to the study by Choi et al. described in the main article above. Did the curcumin really cause lower PSA levels, or did it merely interfere with the assay used to measure PSA? Whatever the case, this study makes it clear that PSA decline alone is not a sound basis for inferring therapeutic effect. One reason why I called your attention to the mouse study by Lodi et al. is that it seems to steer clear of the above two pitfalls. The endpoint was weight and volume of tumors, which would not seem to be subject to any assay effect. And, if I read the paper correctly, the supplier of their curcumin (Selleck) claims their product is > 99% pure. And the effect of combination treatment (curcumin + ursolic acid) was so dramatic (tumor volume and mass only 25% of the controls) that it seems unlikely to be a statistical artifact. Finally, I want to say that, in writing my comment, I was trying hard not to imply that the mouse result had any relevance for humans, other than being generally suggestive of future possibilities. Rather, I found the study to be of interest in its own right; in particular, in showing that (1) despite the drawbacks pointed out by Nelson et al., curcumin in this instance seems to have had a therapeutic effect in mice, and (2) the combination treatment of curcumin + ursolic acid produced a dramatic effect that was not shown by either component administered alone. Of course, this is only one study, and any study can be refuted by future studies. Thanks again, Allen, for greatly increasing my awareness of these issues!